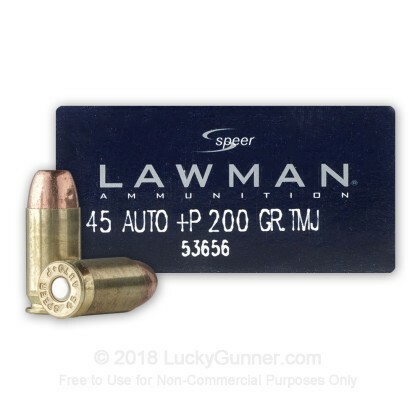 From CCI's Speer Lawman line comes this great 200 grain +P TMJ training round. 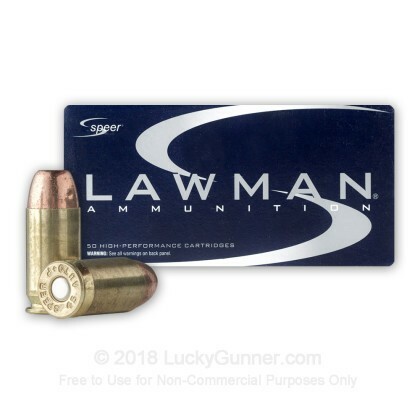 The Lawman brand of ammunition is a premium line of training ammunition that was designed to closely match the ballistics of the Speer Gold Dot line of self defense ammunition. This was done so that police officers could essentially "train with what they carry" with out breaking the department's budget. 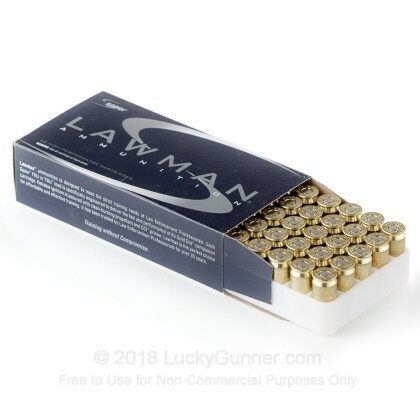 If you carry Gold Dot self defense ammunition or just want a premium range round at an economical price, then pick up a case of this Lawman ammunition today. 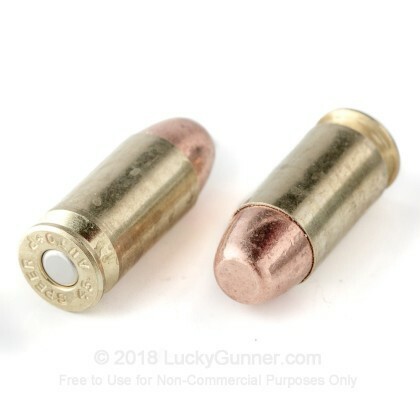 There's not much more to say besides they're very clean and work best with Glock 21 Gen 4 models out of the box. 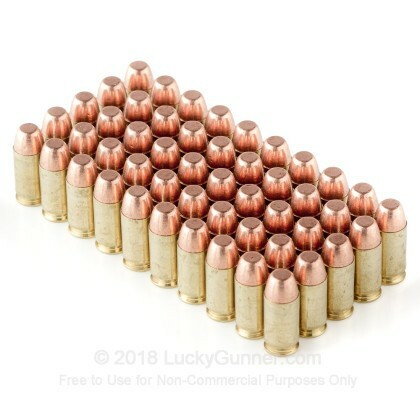 In my experience, a secure and appropriate backstrap/beavertail setup (or lack thereof) makes the +P not so different from some surprisingly heavy NATO 230 Grain .45 acp FMJs I compared these to. For practice, it can't get much better. 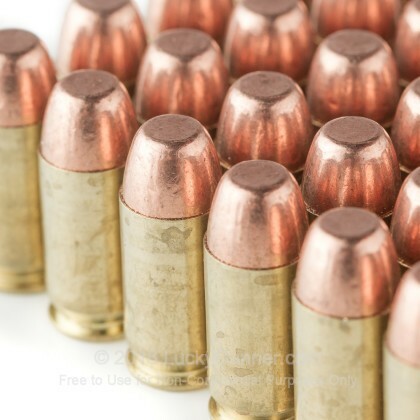 We also have this 45 ACP - +P 200 Grain TMJ - Speer Lawman - 50 Rounds ammo in stock in a smaller quantity.